Insanely bright – 1 lux at 863m & 22,970 lumens per pair! Contained in the same tried and true housing as the 9” Illuminator Driving Lights, the 9” Domin8r houses 40 of the beastly 4W OSRAM LEDs. Designed in Germany, the OSRAMs pack an unparalleled lighting PUNCH - these are serious weapons on the roads, capable of 1lux at 863m (pair). Combine this with their exceptional spread of 22,970 lumens (pair), the Domin8r 9” Lights cuts through the darkest of nights giving you, the driver, unprecedented vision of the road ahead. Adding to this, they cast a 6500k clear white light, providing essential clarity for spotting wildlife and possible hazards. These powerful LEDs are protected by the IP68 cast aluminium alloy housing with an almost bullet proof PMMA lens. Bashed, smashed and drowned across Australia and pushed to the limit on 4WDs all over, this sturdy housing has been put through the worst our land has to offer and they arise from the mud shining every time. Also included with your 9” Domin8r LED Driving Lights is the Adventure Kings Plug N Play Smart Harness, super simple to install with an in-line fuse, heavy gauge wiring and waterproof Deutsch plug connections. The Smart Harness ensures you can install your lights with minimal fuss. 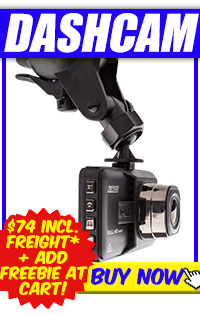 Grab yourself a set of 9” Domin8r Driving Lights and see the difference for yourself! Excellent lights and good value, unfortunately too easily stolen. Anti theft bolts need to be provided (or at least an option). These new Osram Domin8r’s make my old very expensive popular brand spotlights look like birthday candles....love em!! These are awesome driving lights!! They turn night into day. Easy to install. Only issue I had was the length of the wiring to the switch that mounts in the cab of the 4x4. It only just reached! Suggest this section of the loom be lengthened by around 4 to 6 inches to ensure universal fit. Read the comparison test they have with other lights it is true if you buy anything else you are being ripped off they are brilliant plug and play . Great piece of kit, upgraded from standard 9" LED lights. Better spread coverage, better penetration, better lights overall. Buying a second set for my other vehicle. Wayyy better than expected. Cannot fault, especially for the price. Super bright, and easy to install. Came faster than I expected. very impressive lights, have mates that are going to buy them after seeing them! I wasnt expecting such a high quality product, I believe these lights function just aswell as narva, lightforce and ARB products. You would have to be out of your mind to look past these beauty kings LED spotlights. 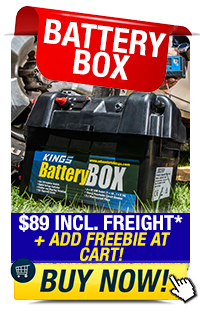 Great product at great price, love you work Adventure Kings. Had a few issues fitting the lights to the TJM bar on my BT50. Had to re drill holes and trim part of the bracket. Also had to lengthen the wires from the relay to battery due to where I located the switch inside the cab. Not a big drama just took a little extra time. Lights work well and are amazingly bright. I’ve now fitted 5 pairs of these lights love them,bright strong.durable.One set were in a smash which totally destroyed the arb bull bar,and lights lived on with only scratches. Absolutely love these lights!! Awesome quality for brilliant prices! Could not recommend any more. They are perfect! We have run a lot of different lights on your Utes, trucks, tractors and harvesters and these are by far the best we have had yet! Incredible value for money. Bloody good quality, shits all over my lightforces. Thanks blokes! Wow! I was worried that at the low price of these the performance wouldn’t be good, but these lights are awesome! They out perform the HID ’s and lightbar I had on my old 4x4 and I paid way more for them. Highly recommended. Incredible for the price! I was blown away with how easy it was to install and then how bright they are! Very happy. 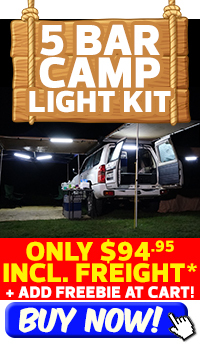 I usually steer clear of cheap products in off road usage but I feel very good about these lights and I live in Cape York. Bloody good lights for a great price! 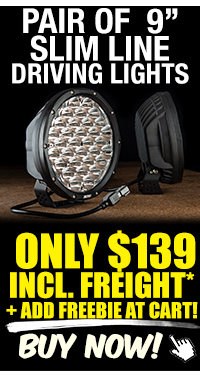 Adventure Kings Domin8r 9in Spotties are an ultra incredible driving light!